A cost­effective and dependable pair of two­way radios, the Binatone Latitude 100 offer ease of use and a range of up to three kilometres. The Binatone Latitude 100 features eight channel combinations, a channel scanning feature and adjustable volume controls. Belt clips are provided for comfortable and convenient transportation while on the move. Each handset requires 3 AAA batteries, and you may also use rechargeable ones. 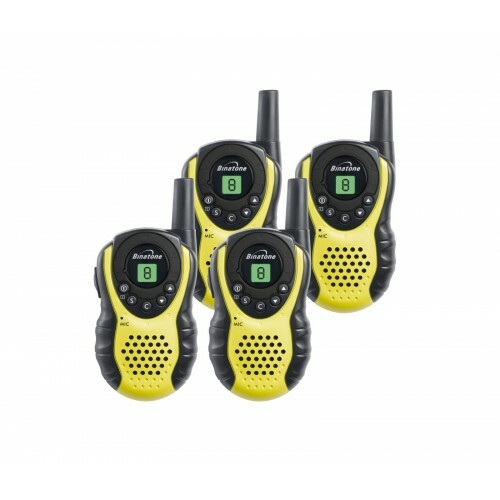 Offering excellent value for money and ease of use, this set of four Binatone Latitude 100 two­way radios are suitable for all ages.